For centuries, the citizens of the Cupcake Kingdom have lived peacefully in a delicious dessert utopia. They've done so side-by-side with fantastical fauna, creatures with a cavernous craving for the choicest of cupcakes. Using sweet treats with the perfect blend of sugar, spice, and everything nice for each species, monster trainers befriend and tame these wild beasts. Feed them too many cupcakes at once, though, and they won't get the sugar rush they crave...but a terrible tummy ache instead! 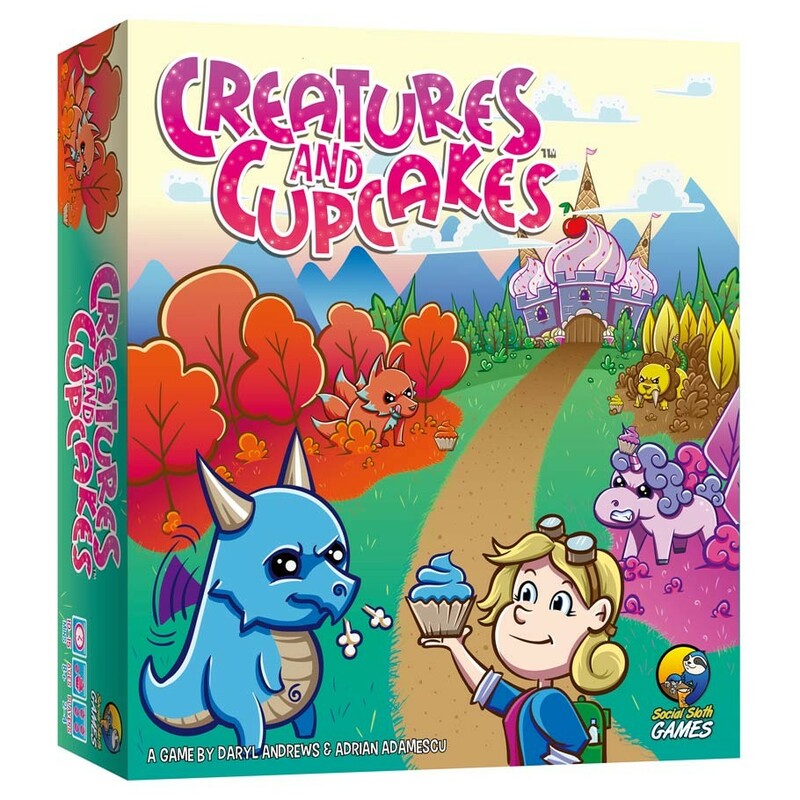 In Creatures and Cupcakes, monster trainers compete to tame two magical creatures to show off to the Cupcake King and Cupcake Queen. The trainer who does this first wins. In this press-your-luck game, players pull cupcakes out of a bag. Every cupcake you draw advances you a space on each creature's affection track. However, if you draw two of the same in a row, your turn ends immediately. Even going bust has its sweet rewards as that player will get either a special power card with a one-time effect or a medicine card to help keep that monster from overeating next time.